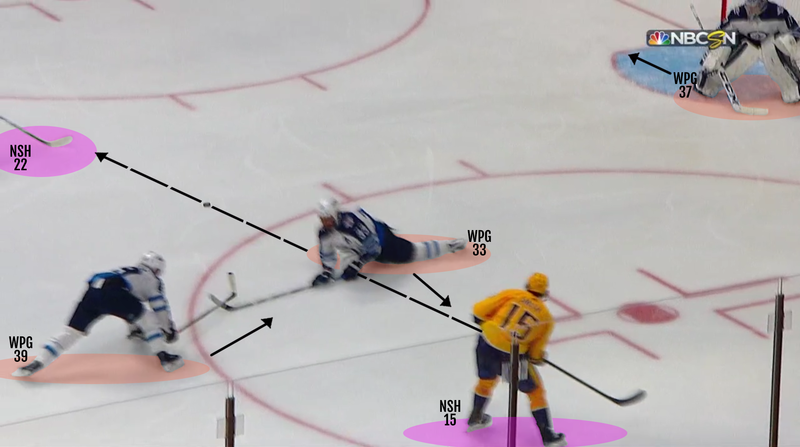 Skilled plays and players are often noticed by the ability to make difficult plays though sticks and feet and having the patience to hold onto the puck under pressure. 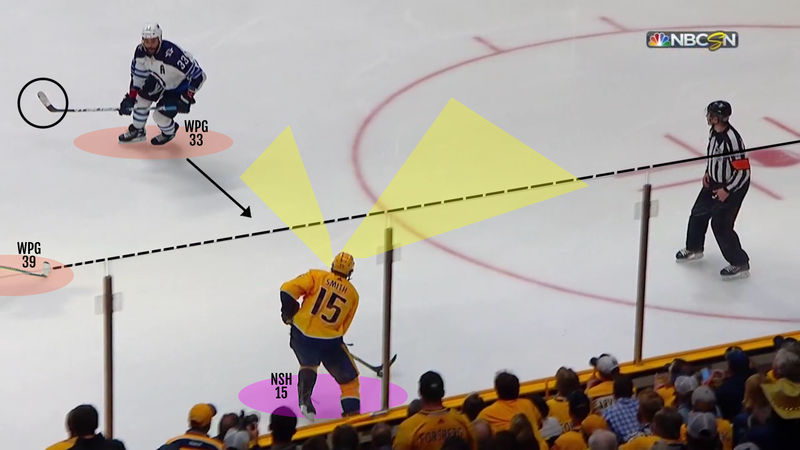 While this is true, there are also times when a simple, early pass makes sense – creating clean plays that make time and space for your teammates. 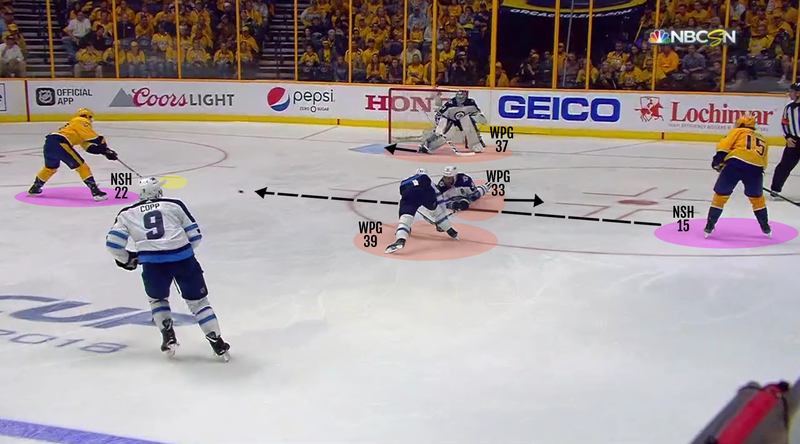 What is shown in the clip below is what’s known as hockey sense. 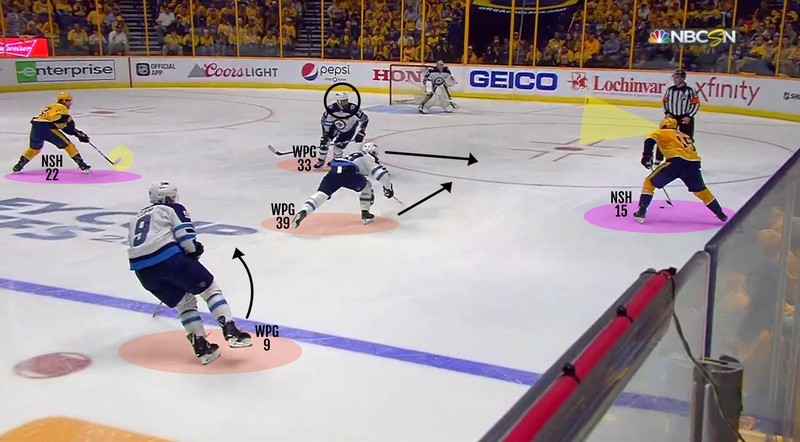 Using programs like the Hockey IntelliGym that are proven to enhance awareness and improve on-ice decision making, players can grow the mental side of their game to see plays develop from a new perspective. 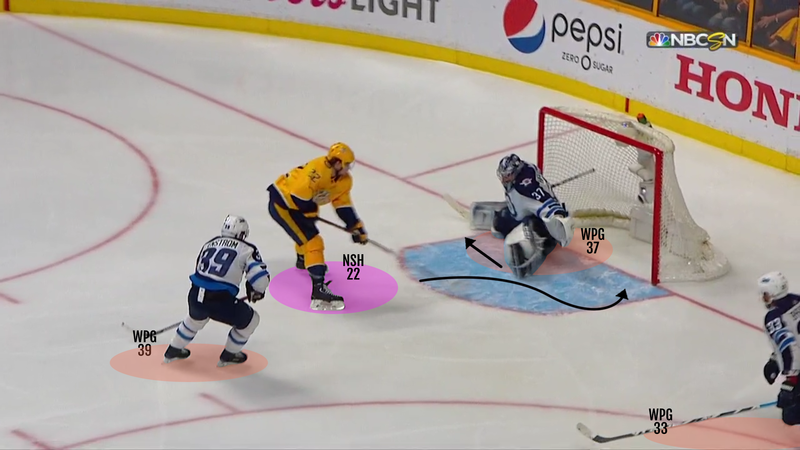 This clip comes from the double OT game winner between Nashville and Winnipeg in the Western Conference Semi-Finals. 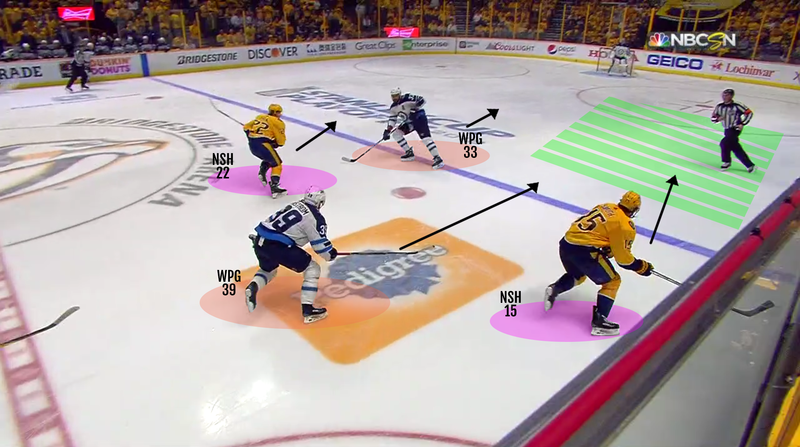 Watch the video clip again to see how the ability to make an early pass opens up time and space in a prime scoring area – skill, then is the ability to read the play and make a simple and effective play.. 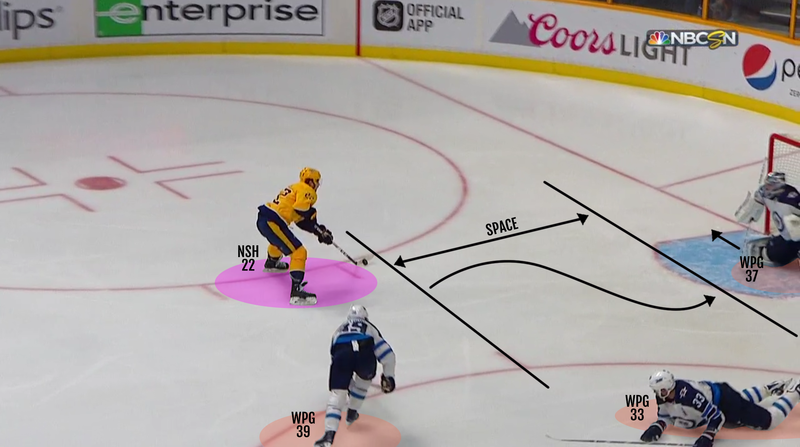 The Hockey IntelliGym is a breakthrough cognitive training technology that hones hockey sense and has been scientifically proven to improve player safety. 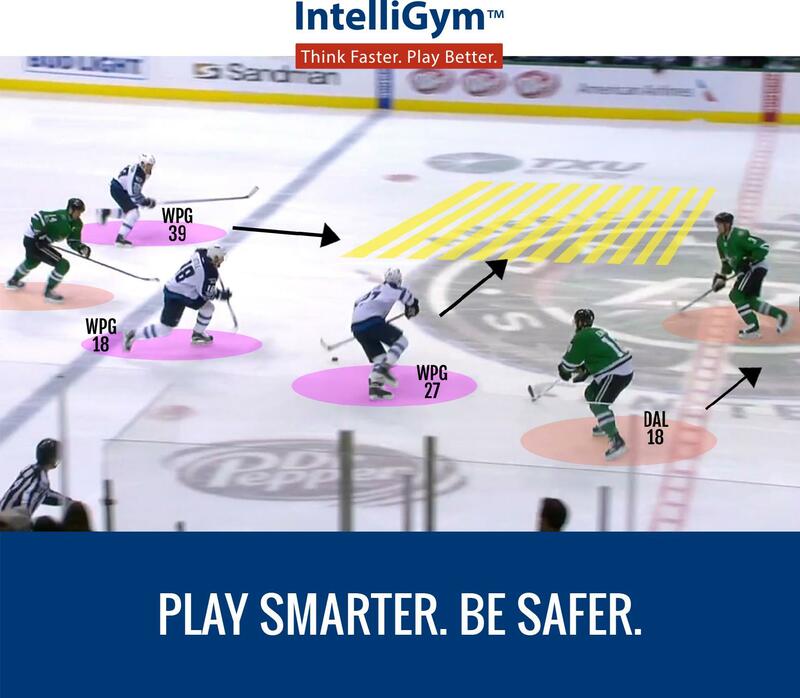 IntelliGym has been used by thousands of players - from OHL teams, to USA Hockey, to last year's OMHA Minor Midget champions - to improve individual players' points total, heighten spatial awareness, and foster better anticipation of the play. Recent research from the University of Delaware suggests training with IntelliGym is a great way to reduce concussions and other on ice injuries. The software, which can be used on any computer, can be purchased here.